Experience the sights, sounds and cultures of South Africa with Jews, Muslims, Christians and Buddhists. Our journey in Africa starts with Johannesburg, the largest city and financial hub with an amazing history. Then we set out for a Safari in Pilanesberg National Park which lies inside a 1300 million year old volcanic complex, and offers a great diversity of plants and animals, including the “Big 5” (lions, leopards, elephants, buffalo and rhinos). We then jet off to Cape Town where the Atlantic and Indian Oceans meet. 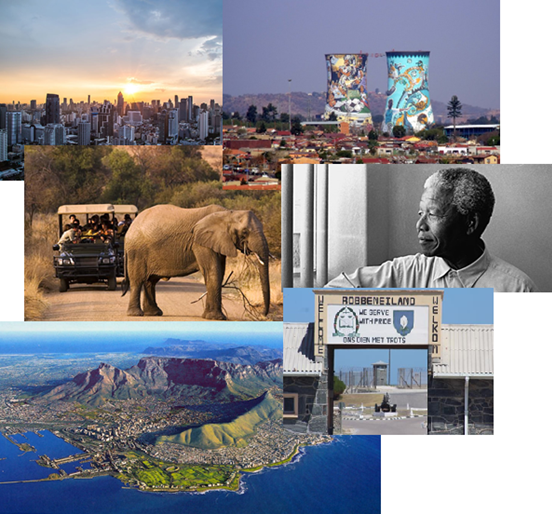 Explore both the beautifully picturesque city and the heartbreaking, yet inspiring Langa Township and Robben Island where Nelson Mandela was imprisoned.